First seen at Mobile World Congress earlier this year, the HP Elite x3 will begin its global roll out at the end of this month. The high-end Windows Phone will begin shipping in the United States on August 29th, priced at $699 as a standalone product. The Elite x3 will also be available in a bundle with a Desk Dock, priced at $799. 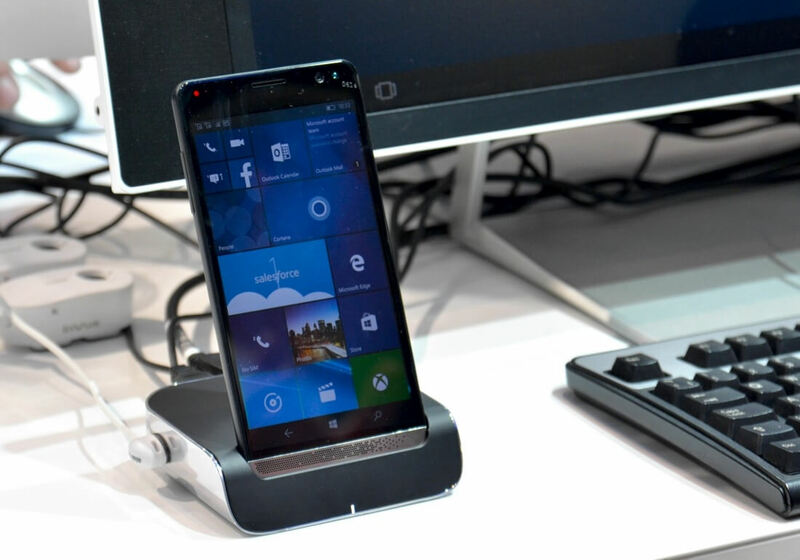 This dock connects the phone to a monitor and peripherals, allowing it to act like a desktop through Windows 10 Mobile's Continuum feature. The Elite x3 Lap Dock, which is a laptop shell with a screen and large battery that transforms the Elite x3 into a laptop, will be part of a third bundle that has no price or release date at this stage. This bundle will also include the Elite x3 smartphone and the Desk Dock. Transforming the Elite x3 into a desktop or laptop computer is one of this phone's main selling points. While the phone itself can only run Windows Store apps natively, HP is including a full virtualization suite for traditional x86 apps that leverages the power of the cloud. The idea here is that this single device can act as your portable smartphone, as well as a desktop and a laptop through different docks. With Continuum and app virtualization key features of the Elite x3, HP is positioning it as a business-oriented product that could replace several devices in the workplace. Aside from die-hard Windows Phone fans, its unlikely the Elite x3 will be sold in great quantities to regular consumers. Until Microsoft releases the rumored Surface Phone next year, the Elite x3 will likely be the most powerful Windows 10 Mobile device on the market. Inside is a Snapdragon 820 SoC, along with 4 GB of RAM, 64 GB of storage, and a 4,150 mAh battery. The handset has a 6.0-inch 1440p AMOLED display, a 16-megapixel rear camera, iris and fingerprint scanners, wireless charging, USB-C, NFC and more.